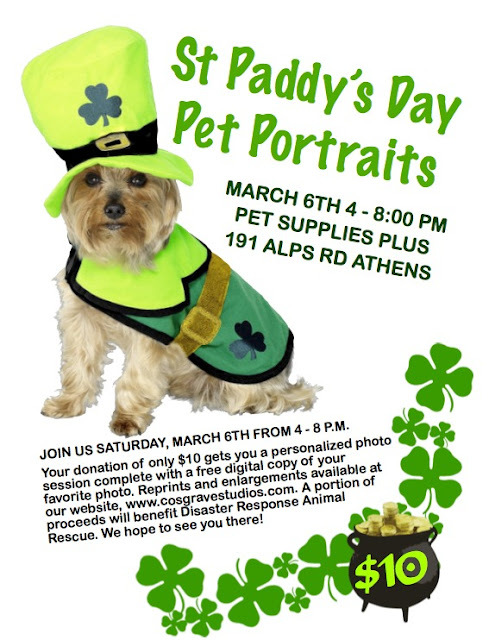 "Join us Saturday, March 6th from 4-8pm for St. Paddy's Day Pet Portraits. Your donation of only $10 gets you a personalized photo session complete with a free digital copy of your favorite photo. Reprints and enlargements available at our website. A portion of proceeds will benefit Disaster Response Animal Rescue. We hope to see you there!"